Agriculture classes were officially offered for the first time in spring of 2017 at Mountain Home High School. Kya Vines is the Mountain Home Agriculture Science Teacher and FFA advisor. The following classes were the first agriculture classes at MHHS: Fish and Wildlife, Agriculture Mechanics, Agriculture Fabrication, Agriculture Welding, Advanced Agriculture Welding, Personal Skills Development and Introduction to Livestock. 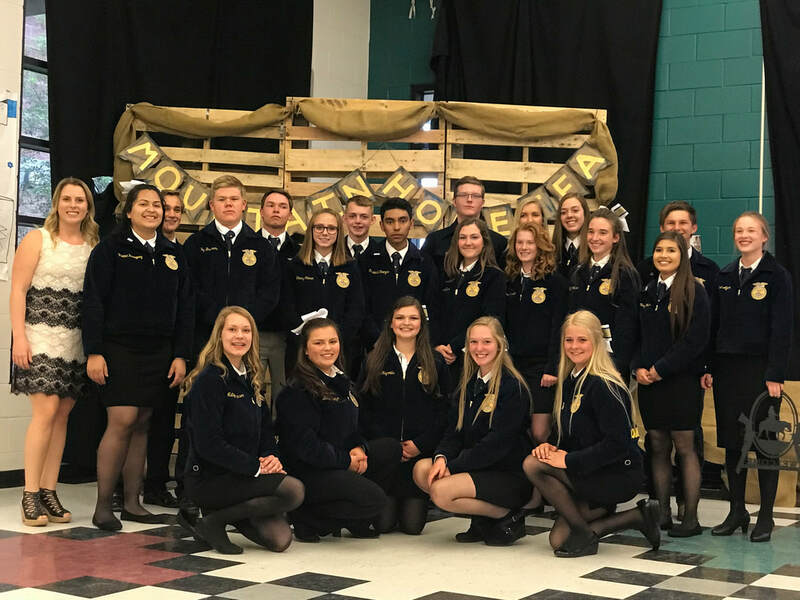 The 2017-2018 school year concluded with 41 FFA members. These members participated in Boise Valley District Career Development Events. With the addition of MH FFA to the district, the district split into two. The new Boise Valley District consists of Mountain Home, Rimrock, Kuna, Melba, Meridian and Nampa FFA chapters.